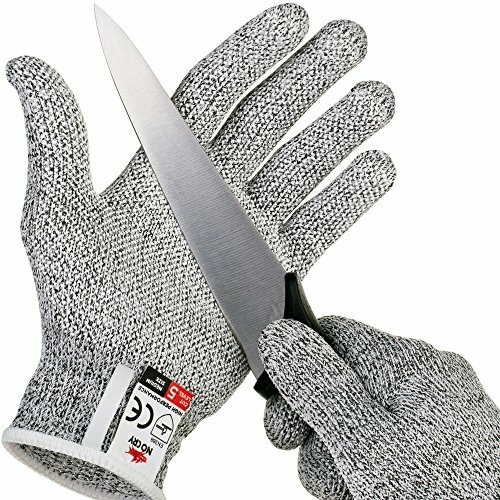 NoCry Cut Resistant Gloves with Grip Dots - High Performance Level 5 Protection, Food Grade. Size Small, Free Ebook Included! 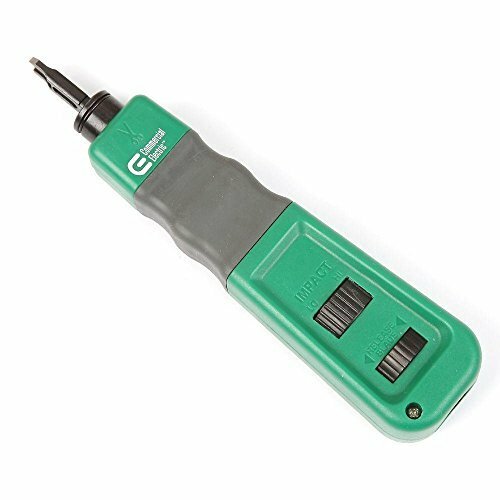 The Commercial Electric Coax Strip and Crimp Tool features precision stripping holes to remove the outer jacket and insulation from coaxial cable. 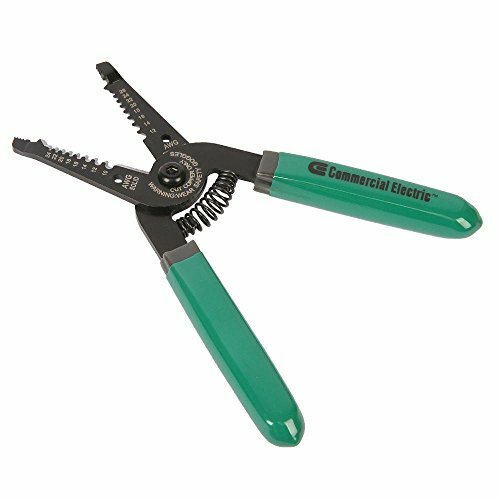 It offers durable blades for cutting copper-coated steel conductors and crimping nests for connectors and ring terminals. Non-slip cushion-grip handle. Terminate wire and cut off excess with the Commercial Electric Impact Punch-Down Tool. This tool features a hi/lo strength adjustment switch. A rubber-embedded cushion grip for secure comfortable use. 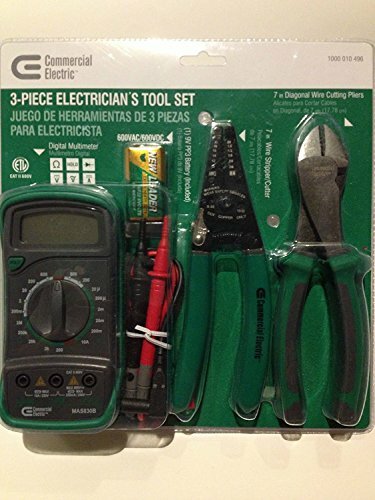 Digital multimeter includes test leads, 9 Volt battery and user's manual Digital Multimeter measures AC and DC voltage, tests DC current and resistance, diode test and features a digital display and data hold to store readings for later review 7 in. 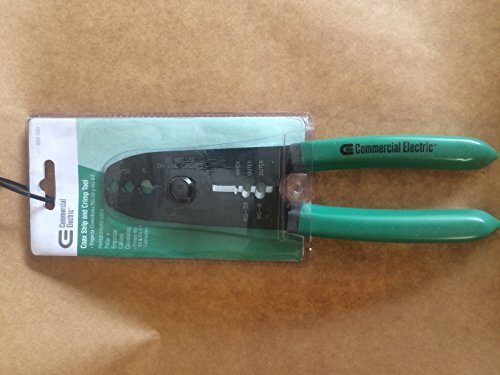 solid and stranded wire stripper/cutter quickly strips 10-20 AWG wire, cuts and threads popular bolt sizes, offers wire looping and bending holes, serrated nose for strong gripping of wire and includes non-slip cushion grip handles 7 in. 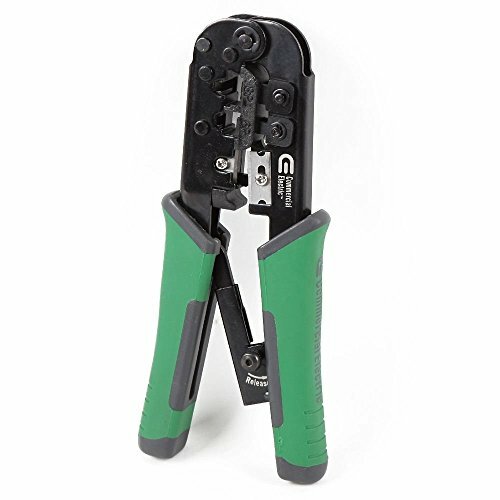 diagonal wire cutting pliers feature short jaws for easy cutting in tight areas, drop-forged heat-treated steel construction with induction-hardened cutting edge for durability, solid joint design that provides smooth operation and ergonomic molded anti-slip grip handles. The Commercial Electric 4 in. 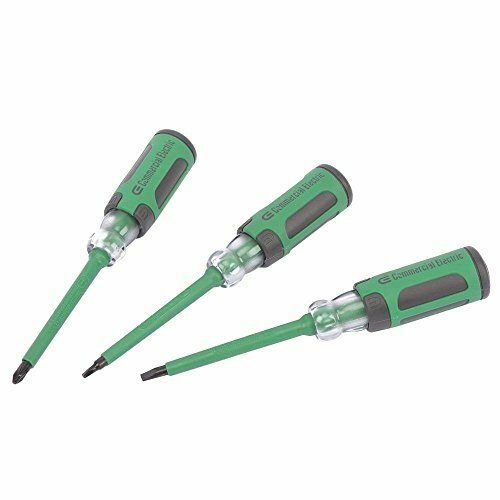 Insulated Screwdrivers (3-Pack) come with 3 round-shank screwdrivers, 1 with a 1/4 in. keystone tip, 1 with a #2 Phillips tip and 1 with a square #1 tip. These screwdrivers have 1-1/4 in. diameter x 4 in. long cushion-grip handles. That provides greater torque and comfort. Professional Quality Crimping Tool features: Heat Treated Steel, Baked Black Enamel Finish, High Visibility Screen-Printed Sizes and Specs, Crimps Insulated and Non-Insulated Terminals, Color Coded Crimp Indicators, Precision Ground Wire Cutter and Looping Tool , Wire Stripping Gauge for Quick and Easy Removal of Insulation, 6-Size Threaded Screw Cutter Snips and threads Mild Steel Screws / bolts, Loop Holes for Bending Wire, PVC Insulated Air-Cushioned Handles Provide a Comfortable, Non-Slip Grip. For a Commercial Electrician or Home Use. Applications. 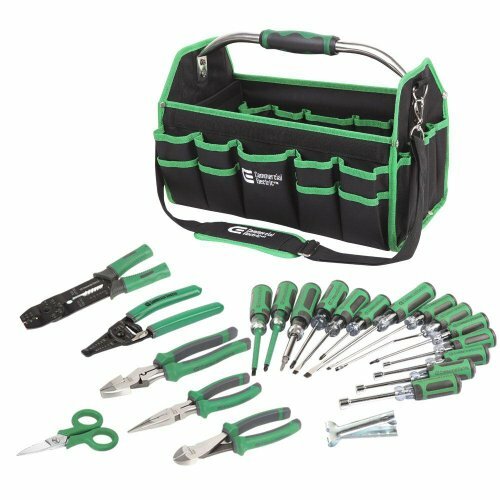 Makes a perfect addition to any tool box. 100% MONEY BACK GUARANTEE - We at OCM Are Confidant You Will Be Happy With Our Electrical Wire Tool, However, if it Does Not Meet Your Expectations We Will Gladly Honor a Full Refund. No Questions Asked. The Commercial Electric 6-3/4 in. 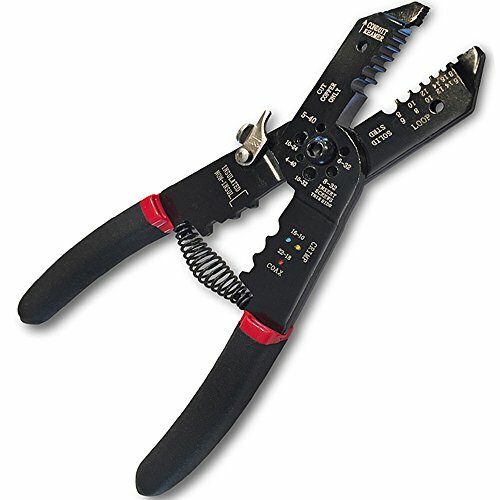 Wire Stripper/Cutter helps you strip both 10 - 24 AWG solid and 12 - 26 AWG stranded wire. This stripper is also capable of cutting wire with its scissor action design and looping wire with the holes located in the jaw. 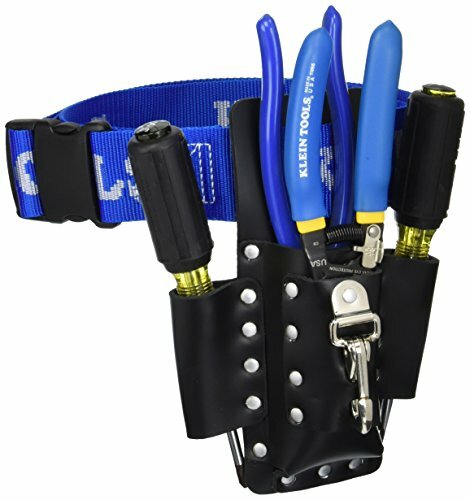 Compare prices on Commercial Electric Hand Tools at ShopPlanetUp.com – use promo codes and coupons for best offers and deals. We work hard to get you amazing deals and collect all available offers online and represent it in one place for the customers. Now our visitors can leverage benefits of big brands and heavy discounts available for that day and for famous brands.